In a culture where women don’t interact freely and openly with men, heartfelt conversations with male missionaries are limited. But God is raising up sisters in Christ to reach women in their spheres of influence. Children are the future of any society. Each new generation needs biblical guidance, but it’s especially needed among those living in regions where there has historically been little or no knowledge of Christ. 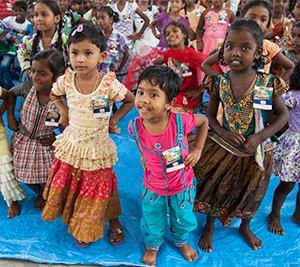 It's not in the name of good ol' Saint Nicholas that GFA-supported missionaries are distributing much-needed gifts to thousands of people across South Asia. With Jesus Christ on their minds, our brothers and sisters on the field give away Christmas gifts with the intent to celebrate Christ with multitudes of people who may have never experienced God's love. For most Asian congregations, a church building is much more than a Sunday morning meeting place. Learn why thousands of congregations are currently praying for church buildings, and how you can pray with them. 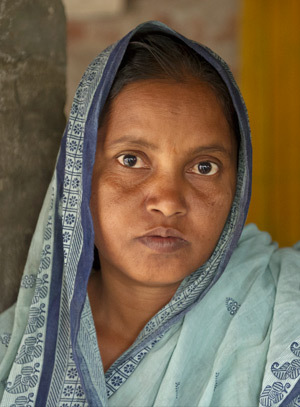 GFA's Compassion Services—which includes disaster relief efforts, and the medical, slum and leprosy ministries—meet some of the most vital and urgent needs of people in South Asia. Join with us as we lift up those who brave the harshest of catastrophes to minister to affected communities. Within a few hours, a film and a team of two to five missionaries can tell Jesus’ story to an entire community and provide an opportunity for the local pastor to start building relationships with villagers. If you were one of the millions of people around the world who lack adequate access to pure water, your life would be a lot more difficult. Just imagine how much time and effort it would take if you needed to carry every single gallon of water you used—whether for drinking, cooking, bathing or even watering your houseplants. To make matters worse, your life would be at risk from drinking the dirty, potentially pathogen-ridden water you gathered at the local pond or open well. Tens of thousands of people worldwide suffer from leprosy, which is a bacterial infection that affects the skin and destroys nerves. The social stigma is devastating, perhaps even worse than the disease itself. Millions of children in Asia grow up with little to no education. Extreme poverty prevents parents from being able to send their kids to school. Please join us as we pray for GFA-supported Bridge of Hope this month. Since 1986, God has used GFA-supported radio programs to bring His message of love to people across Asia. Radio broadcasts can cross treacherous terrain to share with people who are hungering for a love greater than the world can offer. Walls cannot keep this faithful messenger away, so hope-filled programs can be heard within prisons, hospitals and even brothels. 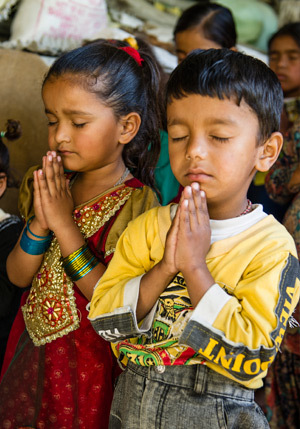 Help us pray for healing for the millions of people around the world who are suffering from disease. 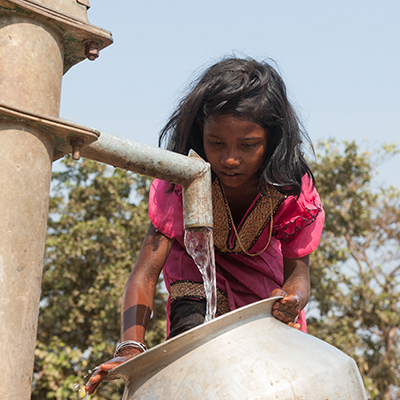 Some of the hardest-hit communities are in Asia, where poverty and destitution provide illnesses a way in. 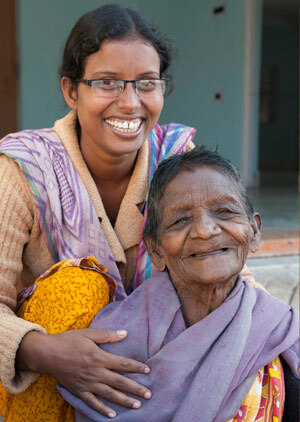 Join us as we lift up GFA-supported workers and Sisters of Compassion ministering to the sick and downtrodden in leprosy colonies and in many slums throughout Asia. GFA-supported missionaries never head out to share the love of Christ without Gospel literature in hand. They know the powerful impact a small tract containing God's message of salvation can have on so many lives. National missionaries aren't superhuman with supernatural abilities and powers. They're everyday people who love the Lord and rely on Him for help as they give their lives to further God's Kingdom. And the Lord uses them as powerful instruments to reach their lost neighbors. Let us pray with passion for this ministry as God equips these precious women to sow His unfailing love deep into the hearts of everyone they serve. Unknown villages tucked away in the mountains, dusty roads and deep lush forests—these are only some of the places where GFA-supported national missionaries serve. Some travel on foot, while others have bicycles or motorcycles to get around. Squeals of excitement fill the air as thousands of children gather. Each one has a different story and background. But today, they get to set aside their differences and experience Vacation Bible School together. Sewing, weaving and candle-making are most often seen as hobbies enjoyed here in the West. But for many women in Asia, these "hobbies" can be a genuine source of income. Shunned. Despised. Unwanted. The life of many widows in Asia looks a lot different compared to those in the West. Precious women are often thought to be the cause of their husbands' deaths, regardless of how he died. 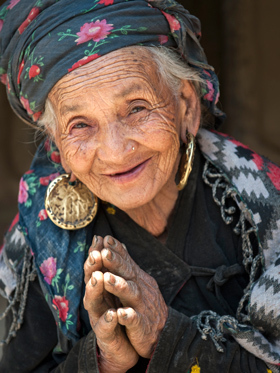 Please join us in praying for the millions of widows in Asia. Christ-centred teaching and fellowship is precious to all believers, but it is especially valuable to the many women in Asia who are new in their faith or are the only believers in their family. 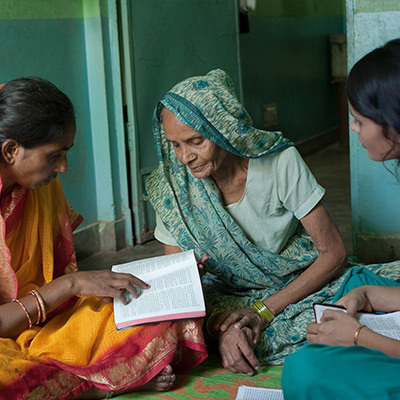 Through GFA-supported Women’s Fellowships, women receive discipleship, encouragement and prayer support. Myanmar (Burma) is a country in crisis. Strategically located between India and China, the country is ruled by a brutal military junta. One of the poorest countries in the world, Myanmar has very little educational structure and a largely uneducated workforce. The people suffer from poverty, hunger, oppression and human rights abuse. Thousands live their lives on the run or in hiding due to decades-old civil unrest. Nepal is a nation that needs your prayers. From over a decade of bloody civil conflict that claimed thousands of lives to ongoing political instability in its government, this picturesque Himalayan country has suffered greatly and bears deep wounds.